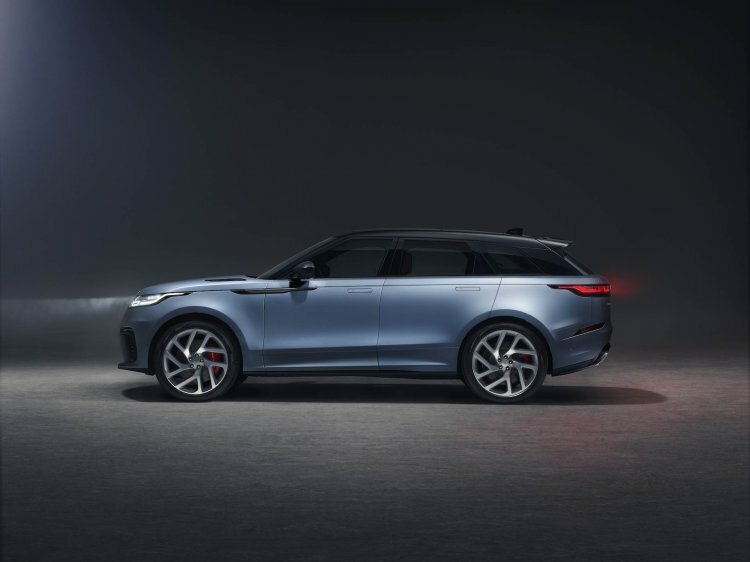 Land Rover has announced the Velar SVAutobiography Dynamic Edition with more performance, luxury and exclusivity. The Velar is the second model in the Range Rover family to wear the SVAutobiography Dynamic badge after the Range Rover. Land Rover will sell the Range Rover Velar SVAutobiography Dynamic Edition for one year. 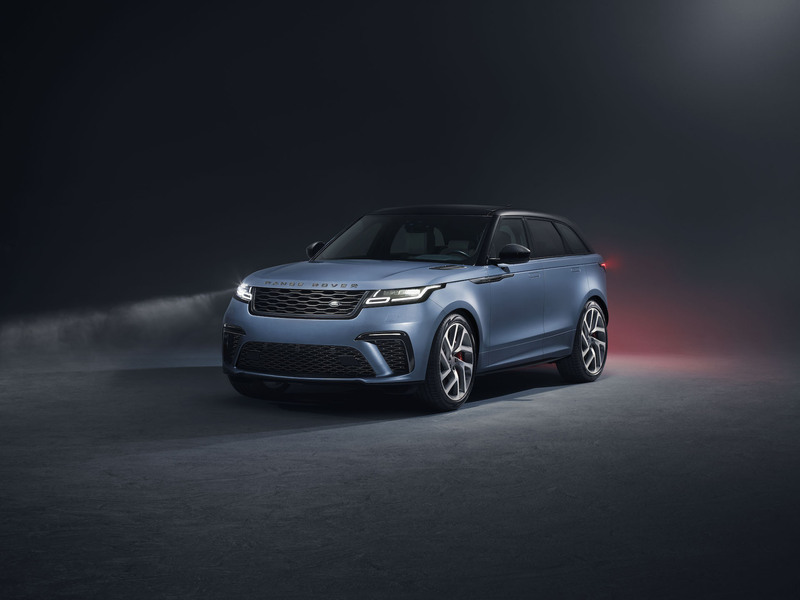 Developed by Land Rover Special Vehicle Operations, the Range Rover Velar SVAutobiography Dynamic Edition sports a 5.0-litre supercharged V8 petrol engine. This engine, producing 550 PS at 6,000-6,500 rpm and 680 Nm of torque at 2,500-5,500 rpm, allows Land Rover’s design icon to accelerate from 0 to 100 km/h in just 4.5 seconds. The new top-of-the-line Velar is capable of 274 km/h. The engine is paired with a uniquely calibrated 8-speed Quickshift transmission. The Electronic Active Differential, steering and Dynamic Stability Control also have undergone some fine-tuning, especially for this variant. The performance-honed Range Rover Velar boasts uprated brakes, upgraded anti-roll bars, revised set-up for the Continuously Variable Dampers, which works in tandem with the firmer air suspension, and a more capable AWD system with a transfer box capable of withstanding the higher loads generated by the supercharged engine as well. An Active Exhaust System, unique to the flagship configuration, optimises the exhaust note, depending upon the driving conditions. Its increased gas flow helps in improving the performance. The bespoke exhaust setup is 7.1 kg lighter than the standard design. The Range Rover Velar SVAutobiography Dynamic Edition is distinguished by a slew of visual enhancements and unique trim finishes. On the outside, it has a new front bumper with larger air intakes to feed the supercharged V8 engine and cool the braking system, a new grille, body-coloured lower side mouldings and a revised rear bumper featuring integrated quad exhaust finishers. Exterior exclusives include distinctive forged aluminium wheels (21-inch or 22-inch) and a special Satin Byron Blue metallic paint finish from SVO’s Premium Palette range as well. Inside, SVO has focused more on heightening the sense of luxury than sportiness. Highlights include unique, twin-stitched, perforated and quilted Windsor leather seats, a sophisticated knurled finish for the rotary gear selector and circular control dials for the infotainment system, digitally knurled dials and a unique sports wheel featuring a specially contoured rim. 20-way adjustable heated and cooled front seats with memory and massage functions are standard. For typical performance SUV enthusiasts, a carbon-fibre interior pack is available. The Range Rover Velar SVAutobiography Dynamic Edition accelerates from nought to 100 km/h in just 4.5 seconds and maxes out at 274 km/h. In the UK, the Range Rover Velar SVAutobiography Dynamic Edition will set you back £86,120 (INR 80,27,131.02) OTR. In India, expect a staggering INR 1.5 crore+ (ex-showroom) price tag for this SUV.